LinkedIn is a great platform for job seekers, especially for freelancers. An excellent LinkedIn profile can be an awesome marketing tool for your personal brand. When your profile is properly and strategically set up, you can showcase your skills and experiences. Clients and recruiters will recognize you and even hire you. However, not all freelancers understand the importance of LinkedIn on their careers. Some of them don’t even bother to optimize their profile or to create one. 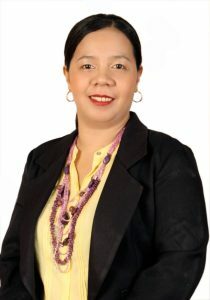 Virginia Bautista has mastered the art of maximizing LinkedIn for her career growth. In fact, she has been featured twice on Forbes’ website where she talks about how to land high paying jobs through LinkedIn and building your personal brand. Check out our interview with the LinkedIn expert, Virginia Bautista. I’m a freelance managing editor at night, a LinkedIn consultant in the morning, a content marketer in between, and a writer by heart. I started as a moonlighter in 2008. I was then working full time as an assistant professor of communication. I loved my teaching job, but writing was my first love. Back then, I wasn’t even aware that I was a freelancer. All I knew was that I found an online company that paid me for doing what I loved: writing. In 2010, I left the academe and started working from home as a full-time independent contractor. And that changed my entire career. There are three things I love most about freelancing, and I call them 3 Fs: Flexibility, Financial Independence, and Family. Flexibility – Freelancing gives me the freedom to work during my most productive time — usually from 12 midnight to 7 am. As a freelancer, most of the time, I get to decide who to work with, what to work on, how much I should get paid, and how to make things work for me. I also get to decide what training I should take and how to upgrade my skills depending on my clients’ needs. Financial Independence – Freelancing empowers me to earn 5-7 times more than what I was getting when I was in the academe. Because I get to decide how much I should be paid as an independent consultant, I’ve achieved financial independence when I joined freelancing. And for that, I am so grateful. Family – Freelancing enables me to stay with my family 24/7 while building my career. As a mom, there is nothing more fulfilling than being able to advance my career without leaving the house. Freelancing is a win-win situation for me and my family, so I couldn’t imagine going back to taking any full-time, office-based job. Achieving work-life balance was my biggest problem as a freelancer. Sometimes, freelancing could be too demanding. Because LinkedIn has brought a lot of career opportunities to me, there were times that I wanted to grab all the opportunities that came my way. But then, I realized — I couldn’t just be reactive to all those people who wanted my time. I have to be more proactive in choosing and attracting the right opportunities that will help me achieve my personal and business goals. When I read Michael Masterson’s book The Pledge: Your Master Plan for an Abundant Life, I started to be more focused. I learned to qualify every “opportunity” that knocked on my door. Some of them were once-in-a-lifetime career opportunities, but they didn’t make sense to me because they’re not aligned with my long-term career goals. Two things: (1) I’m not afraid to feel uncomfortable; and (2) I know exactly what I want in my life and my career. Getting out of my comfort zone has been my shortest—but not the easiest— route to where I want to be. It’s not easy to do things I am afraid of at the beginning, but it always pays off, so I learned to welcome that feeling of discomfort that new opportunities bring to me. Because I know what I want in life, I feel 100% responsible for making things happen particularly to my career. For example, I don’t go to freelance bidding sites to search for people who might need my skills or talent. Instead, I optimize my LinkedIn profile, interact with some of my connections, upgrade my skills, attend networking activities and volunteer to do something for free once in awhile — this way, I am creating lots of career opportunities for myself without literally looking for them. Many Filipino freelancers either start the wrong way or start with the wrong mindset. With ‘start the wrong way,’ I mean they jump into freelancing without learning about the industry or their niche first. Sometimes, they don’t even have any niche — they just jump in. Sometimes, they take freelance jobs that don’t match their core strengths so they end up being burned out. Some don’t know what their core skills are. They just want to get any job they can get online. To me, that’s the wrong way to start freelancing. With ‘the wrong mindset,’ I mean most freelancers think freelancing is a job. But it’s not — it’s a business that requires them to do everything including getting the job done, marketing the business, negotiating with clients, managing finances and resources, etc. The good thing is, most Filipino freelancers are very willing to learn if only someone will show them the right way, the right path. Filipino freelancers are loyal, hard-working people. Given the right tools and guidance, they can excel in almost anything they want. They’re always willing to learn and do more of what is expected of them. ‘Aspiring freelancers’ and ‘struggling freelancers’ (those who are no longer new, but still find it hard to get a steady stream of income) face the same challenge: the freelance market is already crowded. So, to avoid ‘struggling,’ freelancers must stand out. That’s the surefire way to thrive in the industry. Sounds simple, but it’s not easy. 1. Avoid freelance bidding sites including Upwork and Fiverr while you can. Do your own marketing instead of relying on bidding sites to find clients for you. Think about it — their business is to connect freelancers with companies or business owners who need to outsource some jobs. With the Internet and a lot of free tools available online, you can now do your own marketing. So, how can you find clients? Create your own website or use LinkedIn to your advantage. If you can be great at both, that will be amazing. 2. Leverage LinkedIn to land high-paying clients. To succeed on LinkedIn, you have to be found, be remembered and be recognized. Be found. Optimize your LinkedIn profile so that you’ll rank high in LinkedIn’s search engine. With a highly optimized profile, your target clients will find you. You don’t need to look for them. They will come find you. Be remembered. Stay top of mind by showing up on LinkedIn every day. Provide value to your network and nurture relationships with your connections. Be recognized. Demonstrate your expertise. Create original content that your target clients will find valuable. If they see that you know what you’re doing through the content you create and share, they will be ready to pay you at the price that you want to charge them. 3. Invest in personal branding. As mentioned, the freelance market is now crowded and it’s not about to get better in the next years as more people jump into freelancing. Again, to thrive, you must stand out. Seth Godin emphasizes the benefits to freelancers of being ‘unique, not generic.’ Gary Vaynerchuk advises being “a big fish in a small pond” by finding your niche. With personal branding, you can reinvent yourself and shape your own career or take your freelance business to the next level. It’s quite a long process, but it will be worth your time and effort. Good luck! You can contact Virginia through LinkedIn.